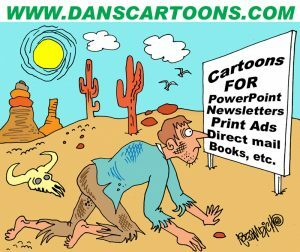 Cartoons Cartoonist Press Release promotions are necessary for a self employed cartoonist’s survival! Cartoons and self promotion go hand in hand with the freelance cartoonist as more and more importance is emphasized through the use of a traditional press release. 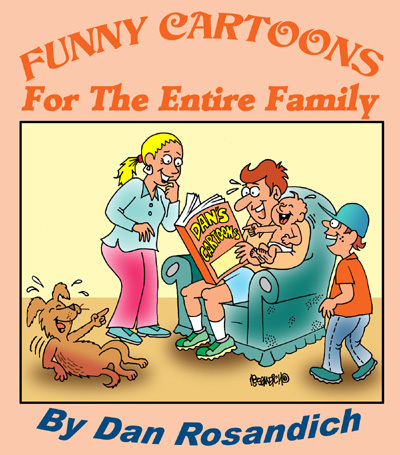 It was years ago I used a press release service to help promote the availability of my cartoons and my cartooning services and I am providing a look at one of the releases I used quite a few years ago which was archived online and in media databases that relate to the type of cartoon content that I provide. I think it may be a good time to offer this information as it can apply to any other professional who endeavors to use the internet as a promotional tool as part of their public relations arsenal. This cartoonist press release was archived throughout the internet and still appears on various outlets. Promoting your cartooning and photography or illustration services in the same way could also be of benefit if you provide an image-based service in which you offer your work for licensing or reprint. Use the internet to your advantage, not just by launching the traditional web page but assemble your work into an in depth archived collection of your material from which those appropriate customers are able to search through and potentially license what you have. Pricing my cartoons is done on a one to one or “per inquiry” basis since each potential usage will vary from user to user. What one professional may see as a great use for a cartoon on a t-shirt will be different from the publisher who wants to use a cartoon in a series of instructional manuals and so forth. Another great way to get additional publicity or generate a buzz regarding who you are and what you do, is to find fellow web designers and webmasters who have a similar interest and / or appreciate who you are or what you may do. Connect and communicate and see if you can help benefit one another by forming a mutual agreement or alliance. A sample article regarding my cartoons and services and how cartoons available for social media and Facebook could benefit those professionals, is a recent example. You may also want to consider the fact of promoting yourself in other traditional ways such as direct-mail and building up your own mailing list of potential clients or recipients with whom you feel may be interested in what you do and the services you have to offer.